Shauna finds you once you enter the city, telling you to go check out the Prism Tower. Head over to the Prism Tower at the heart of the city. 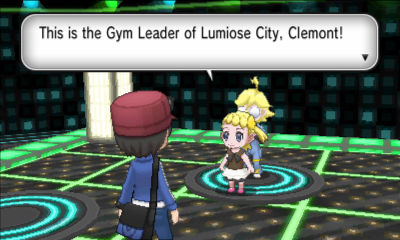 Once you're there, Shauna will join you to watch Lumiose City Gym Leader Clemont turn on the lights for the Prism Tower, which also turns out to be the gym! Before you challenge the gym leader, explore the city a bit more. Now that the power's been restored, all parts of Lumiose City are accessible. In addition to Vernal Avenue, there are three other avenues connecting the heart of Lumiose City of the northern and southern parts of the city. As you explore these avenues, you'll find trainers to battle with in alleyways. There's a juice shop here selling juice for Pokemon to drink. Next door is Restaurant Le Yeah, where you can have three-on-three battle meals. The PokeBall Boutique sells speciality PokeBalls. Talk to one of the girls in here to get a Luxury Ball. Not much to do here until after you've become a champion. There's a Loto-ID Center where if you draw a number matching the ID number of any of your Pokemon, you could win a prize. In one of the cafes, talk to the Roller Skater in the back to learn a new Roller Skate trick: the 360. Start exploring northern Lumiose City from the western end. 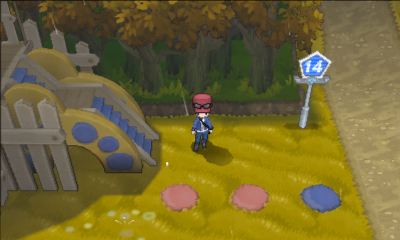 In the middle of Lumiose City, there's a mysterious build. Go inside to the second floor, and a weird floating lady will pass by you. Creepy. On the third floor, talk to the girl by the bookshelf to get an Expert Belt. The girl next to her gives you a Protein. Further down the street is another Pokemon Center. Across from it is the Lumiose Museum. 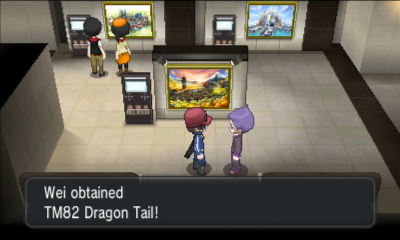 Go inside and talk to the purple-haired guy on the first floor for TM82 Dragon Tail. In Hotel Richissime next door, you'll finding Mr. Bonding, who'll give you the Bargain Power Lv. 1 O-Power. Talk to the lady at the front desk to take on a job at the hotel. For doing various tasks, you can make some easy money. Find the little girl in the restroom on the fifth floor to get TM49 Echoed Voice. Go into the building next to the hotel. The Scientist in the lobby will give you a Star Piece for showing her a Pokemon with Aroma Veil, Flower Veil, or Sweet Veil. On the fourth floor, talk to the little girl for a Prism Scale. Outside the building, the Roller Skater girl will teach you the backflip! Whew! That was a lot to do. Now head over to the gym to collect your fifth gym badge! 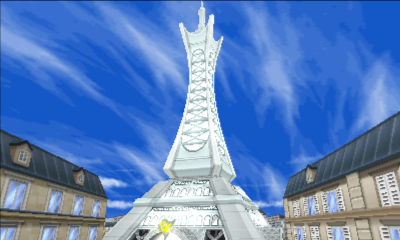 As you already know, the gym in Lumiose City is inside the Prism Tower. The trainers in here specialize in Electric-type Pokemon. Once inside, head up the elevator. 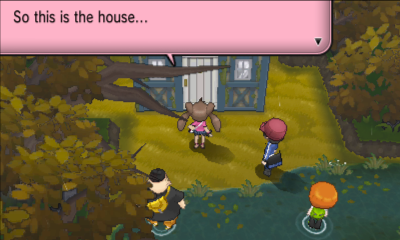 On the second floor, the gym leader's little sister quizzes on a Pokemon's silhouette, asking you who that Pokemon is. If you're a Pokemon fan, you'll easily identify it as Pikachu. Talk to trainer #3 to choose that as your answer. Before that, though, he'll battle you. Afterwards, if you get it right, you'll be transported to the next floor. You can also purposely get the answer wrong to battle the other trainers. The correct answer for the third floor is #1 Fletchling. The correct answer for the fourth floor is #3 Pampour. The correct answer for the fifth floor is #2 Vivillon. Finally, you'll get to the gym leader. Leader Clemont uses a Lv. 35 Emolga, Lv. 35 Magneton, and Lv. 37 Heliolisk. 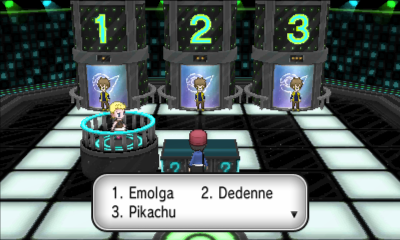 For winning, Clemont awards you the Voltage Badge. Now Pokemon up to Lv. 70 will you. He also gives you TM24 Thunderbolt. When you leave the gym, you'll receive a Holo Clip from Professor Sycamore, asking you to stop by Lysandre Cafe for a quick chat. It's right across from the Pokemon Center in Magenta Plaza. Inside, you'll find both Professor Sycamore and Lysandre. They'll talk to you for a bit and Lysandre will give you a King's Rock. When you leave Lysandre Cafe, Trevor Holo Casts you, telling you to meet everyone on Route 14. So, head north onto Route 14! Upon entering Route 14, Serena will challenge you to a battle. After the battle, follow the group to the Scary House. It'll start to rain. Pick up the Rare Candy behind the swings. Head northeast to pick up the Cleanse Tag at the dead end. With Cleanse Tag, wild Pokemon whose levels are under the holder's level won't bother you. Head all the way west to pick up a Big Mushroom. Then head north. Follow the trail and battle the trainers. On your way up, surf across a deeper pool of water to pick up a Hyper Potion. Continue north. Head east onto land, battle the little girl, and pick up the Roseli Berry. Cut the tree and pick up TM61 Will-O-Wisp. Back in the water, talk to the girl facing the deep pool of water to get TM06 Toxic. Surf across the pool to pick up a Damp Rock. When you get onto land again, Shauna will lead you and the rest of the group into the Scary House. The old man inside tells a scary story involving faceless men. He asks for a tip for telling the story. Afterwards, everyone leaves (except Shauna). Go south of the house to pick up a Spell Tag. There's also a hidden Revive on the stone right before that. Continue north into Laverre City.